The Matinee ’18 February 8th features forward-thinking artists and those rekindling the past with majestic aplomb. This mini-playlist features art-rock; old-school R&B, soul, and dream-folk; ’90s-inspired indie rock; ambient psychedelia; catchy jangle-pop; and some old-fashion slacker rock. We start things off, however, with the surprised new single from a college radio legend. And out of the blue Stephen Malkmus has gathered one of his old outfits, the Jicks, to release their first single in years. Ok, it’s only been four years since they released Wig Out at Jagbags, but it felt like a lifetime. 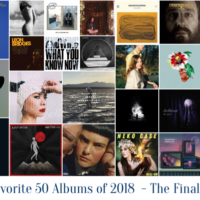 Just when you think the legendary band was done with surprises, they deliver a tune that sounds more out of Jeff Tweedy’s and Wilco’s songbook than the quirky, college radio-era music they and Malkmus’ other major band, Pavement, help popularize. One thing, though, remains – this little ditty will make you smile. Another element remains the same, which is Malkmus’ wry lyricism. 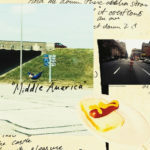 “Middle America” is an ode to the underdog and all those who have been beaten by the bully. Yet listening to the track it seems like much more, specifically a clever political number. That bully is the man in the White House, who uses manipulation and abusive language as his primary weapons. Maybe we’re reading more into the song than is there, but we wouldn’t put it past Malkmus to do something unexpected. The single is out now via Matador Records. There likely is a new album coming, as Stephen Malkmus & the Jicks (who are Joanna Bolme, Mike Clark, and Jake Morris) are heading out on tour. Dates and information are here. Yuto Uchino (vocals/synths), Ryosuke Odagaki (guitar), and Kaoru Nakazawa (drums/bass) who make up The fin. are unlike most psychedelic rock bands. Instead of blowing our minds with searing and fuzzed-out guitar riffs, they prefer to send us down the rabbit hole and into realms that only exist within the wildest imaginations. To say their music is hypnotic would be an underestimate. Instead, it’s more like a conjuration, where each song is like a spell that takes over our minds. They craft another dream weaver with “Snow (again)”. Coming in at just under two minutes, the song exhibits the trio’s unique take on the genre. Hazy synths and the crystal-clear guitar chords make up the spell while Uchino’s heavenly vocals deliver the enchantment. Where you end up is up to you, but you might feel like us and being trapped inside the most beautiful snow globe. And as each snowflake touches your face, all you can do is close your eyes and experience the deeply intimate moment. Forget classical music, head to Vienna to discover some of the most creative indie-electro bands and producers on the planet. Seriously, the city that once was the home of Beethoven, Mozart, Strauss, and Brahms, is the site of artists willing to push the envelop. This shouldn’t be surprising since 250 years ago a collection of individuals were changing music. Now here comes a new generation with Hearts Hearts among that group. The four-piece of David Österle, Daniel Hämmerle, Johannes Mandorfer, and Peter Paul Aufreiter is a blend of the oft-kilter brilliance of Glass Animals and alt-J and the euphoric indie rock of Grizzly Bear. Predictably, the combination yields a product that can only be described as sensational. 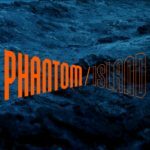 Their newest single, “Phantom / Island”, is a spectacular piece of indie-electro-rock orchestration that leaves the listener in awe. Every element is exquisitely executed, coming together to create a soundscape that takes us to into the depths of the galaxy. Its beauty and innovation would equally make the great artists of our time and the legendary composers of the past bow in appreciation. Hearts Hearts’ new album, Goods/Gods, is expected in April via Berlin label TOMLAB. Just over two years, Hinds exploded on the indie scene and became one of the most talked about bands in 2015 and ’16. Their music was fun, exhilarating, quirky, and personal while their live shows were like one big house party. Last week, they released the first single from their forthcoming new album, I Don’t Run (out April 6th via Mom + Pop Music), and it confirms that the quartet are here to stay. “New For You” is a slacker-rock tune that echoes The Growlers with hints of Mac DeMarco and Connan Mockasin. The jangly guitar riffs and the groovy rhythms are made for the beach – catchy, warm, and worthy of a few shimmies in the sand. The guitar solo, in particular, will have people shaking their hips. Carlotta Cosials, meanwhile, cleverly tackles the typical relationship topic by discussing the push-pull element that comes with the inevitable ending of a partnership. 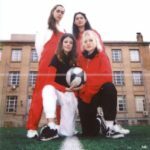 While heartbreak is on the horizon, Hinds have left fans with a song that will have them eagerly awaiting to rekindle their love affair with the Spanish outfit. Count us in among the group. In addition to Carlotta Cosials (vocals/guitar), the band includes Ana Perrote (vocals/guitar), Ade Martin (bass/backing vocals), and Amber Grimbergen (drums). Another band that caught the music world’s attention two years ago were Middle Kids, the Australian trio of Hannah Joy, Tim Fitz, and Harry Day who were resurrecting ’90s indie rock. Last week, they released a song that should have been on the soundtrack of Singles or Dazed and Confused. 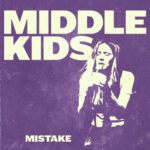 “Mistake” is unmistakably right out of the pages of Gin Blossoms, Toad the Wet Sprocket, The Cranberries, and all those great ’90s bands that created the songs that defined the lives of Gen X’ers. The song is simultaneously exhilarating and breathtaking, and it reaches euphoric levels as it reaches its crescendo. Listen closely to Joy’s lyrics because they sound exactly from one of the movies of that era, where the protagonist wishes to make amends for a past mistake. 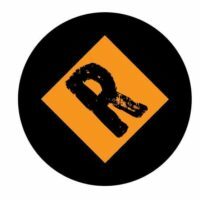 It’s a great piece of storytelling from a band that is going to very big places in 2018. 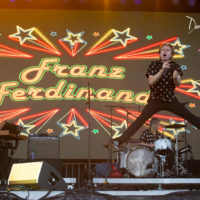 Don’t be surprised to see them at the top of the ARIA charts and among the most celebrated bands on Triple J’s year-end lists. Middle Kids’ new album, Lost Friends, is out May 4th via Domino Records. Pre-order it on Bandcamp. 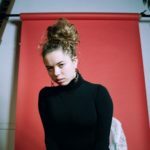 Nilüfer Yanya has one of the most unique and enrapturing vocals on the planet. Smokey, smooth, and intoxicating, her voice is one we could hear all day, all week, all month, and all year. The London-based artist, though, is more than just a great voice. She’s also a gifted songwriter, who has addressed a range of issues from fear and mental illness to the decay of a community. On the tremendous “Thanks 4 Nothing”, she addresses how one is trapped inside an abusive relationship and how things can never be better. It’s a powerful piece of songwriting from a young woman still in her early twenties. Could she become a new generation’s Mariah Carey or Billie Holiday? We’re betting on it. The single is out now via ATO Records. Yanya will be touring across Europe this spring, and dates and information can be found here. The rest of the music world is catching on to South Korean indie-pop quartet Say Sue Me (Pitchfork featured them yesterday), and, to be fair, we only got on the bandwagon about 4 or 5 months ago. Now everyone else needs to queue up and pile on because Asia’s equivalent of Alvvays are about to be the talk of the scene after they blow people away at SXSW in March. To prepare folks for what is to come, they’ve shared a tremendous new single with “Old Town”. “Old Town” is the gateway into summer with its warm and vibrant melodies, jangly hooks, and the sweet harmonies of Choi Sumi. It’s music that gets you up and dancing or puts adrenaline through the veins and gets you running. Despite the upbeat, swimming vibe, Choi’s words are a lament to her loneliness and abandonment, as friends left Busan in search for greater opportunities. Choi, though, stayed behind, but now she and her band mates are about to do something none of their friends will attempt – become global sensations. 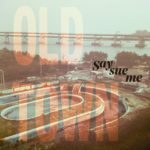 “Old Town” is from Say Sue Me’s forthcoming new album, Where We Were Together, which will be released on April 13th via Damnably. Pre-order it on Bandcamp. 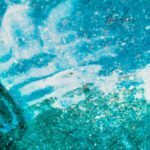 The Laurel Canyon revival is upon us, and we’re immensely grateful for it because very few genres can match the delirious effects produced from a great piece of dreamy folk-pop-rock. It’s even better when a young, new artist arrives on the scene and channels the spirit of the revered LA neighborhood in her music. Meet Sharaya Summers, who will have you eating out of her hand with “Wonder”. Born in Portland and now living in the City of Angels, Summers sounds like the beautiful marriage of Joni Mitchell and Hope Sandoval. Her voice is light but blissful. Each word she sings possesses the intimacy of a bedroom secret, and her words similarly reveal her deepest thoughts. From her fears to the disillusionment that surrounds her to the slow process in discovering what she wants, the song is a roller coaster of emotions. 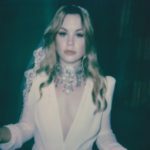 As Summers unveils herself to us, we become further enraptured by the beauty of her music and her soul. We cannot wait to see what else she has in store. 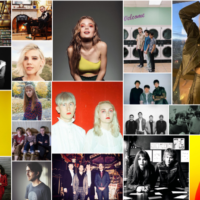 We end today’s mini-playlist with another retro number from a fast-rising artist that has had the music world buzzing for a couple of years. We are of course referring to Whinnie Williams, the Londoner who is setting hearts aflutter with her scintillating and steamy ’70s-inspired R&B and sultry vocals. If you’re late to the party, then take a listen to “Sorry Now” and you’ll understand why tens of thousands of people have boarded her train. 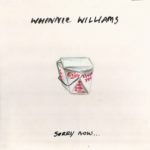 If Soul Train or Solid Gold were still on television, Williams would be singing “Sorry Now” to a live audience and have everyone dancing sensually just like Minnie Riperton did on a daily basis four decades ago. But despite the feelings the music evokes, Williams’ lyrics concern a woman moving on and taking back control of her life. It is also an apology to the person she has left behind and a message to him to do what she has done. 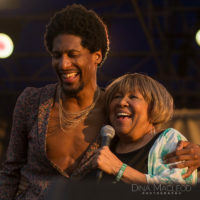 The story’s multifaceted nature reveals that Williams is more than just an artist with a fabulous voice and groovy style – she’s a songwriter with a knack of introducing multiple plot lines within a single story. That’s an immensely rare gift in today’s soundbite world.